Maniben along with being daughter was also personal aid come secretary to her illustrious father . This article gives details about Sardar's likes and dislikes, his rift with Nehru ,answers "why did Gandhi choose Nehru over Sardar Patel ? " , His role during the crucial moments of freedom struggle, partition negotiation, as home & deputy PM. The Sardar was a man of few words. He wrote very little;he hardly kept any record of his public or party work. He destroyed letters addressed to him after reading them and replied by hand, not keeping copies. But after he was appointed Chairman of the Congress Parliamentary Board in 1934, files relating to it's transactions were kept. When the Sardar fell ill towards the end of the Bardoli satyagraha in 1928, it was suggested that somebody should give him secretarial help. I said: "If someone is to be kept, why not I?" From 1929 until his death, I preserved his correspondence whenever possible. 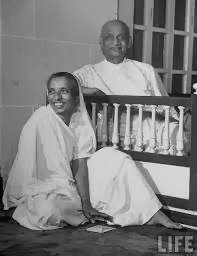 Once, when K. Gopalaswami, political commentator of the Times of India, visited him in his flat on Marine Drive, Bombay, the Sardar called for a letter he had received from C. Rajagopalachari, forgetting that he had torn it up and thrown it in the wastepaper basket. Fortunately, I had collected the pieces. It took me some time to paste them together before passing it on to him. This happened before the Interim Government was formed. The Sardar traveled second-class by railway before he became a Minister. I would spread his bedding at night and retire to a third-class compartment. But from 1934, when there was much correspondence to attend to even on train journeys and people came to see him at stations, I kept company with him in his second-class compartment. I used to make copies of important letters he wrote in hand, but he would question this, asking why I was taking such trouble and wasting time. I also kept newspaper clippings of important events with which he was associated. The Sardar read several newspapers and listened to radio news bulletins regularly. This enabled him to keep abreast of developments throughout the country.He also talked to people to get information to supplement other sources. After 1945, the secretarial functions of the Congress Parliamentary Board were undertaken mainly by Shantilal Shah. The Sardar was undergoing treatment for intestinal trouble at the Nature Cure Clinic, Poona, when he sent for Shantilal Shah from Bombay. Shah, a Congress Socialist, hesitated at first because he did not know what was in store for him. But B. G. Kher (Premier of Bombay) advised him to take up the work. The Sardar told Shah he wanted him to act as his Secretary at the Parliamentary Board office located at the headquarters of the Bombay Pradesh Congress Committee. The Sardar was a very shrewd judge of character. When he met a person for the first time he looked him up and down, and the assessment he made in that process rarely went wrong. Once when Mathuradas Trikamji, Mayor of Bombay, asked what kind of men he kept round him, the Sardar replied that his was a "juggler's basket." He kept all kinds of people for the single aim of winning India's freedom. He used different people for different purposes. He was fully aware of their weaknesses and drawbacks but exploited their useful qualities. The Sardar learnt punctuality in his youth when he had to do everything for himself. This experience taught him to save time by doing things according to schedule. This gave him self-reliance and at the same time an appreciation of the difficulties other people encountered. He walked on business errands rather than use transport. This habit served him well in London when he was attending the Inns of Court. He used to walk from his lodgings to the law library, a distance of several miles daily. He could not afford to buy books for study, and was at the library when the librarian opened it and left at closing time every evening. The visit to England fulfilled two of my father's ambitions.He wanted to see the country from which people had come to conquer India and to qualify as a barrister. He had seen how even mediocre lawyers had been able to build up a large practice because they had been to London to study for the Bar. On his return to Ahmedabad, he established himself as the city's leading criminal lawyer. When he was a district pleader at Borsad in the early 1900s, there was a British magistrate who kept a mirror in his court to study the faces of witnesses. This made witnesses nervous and the magistrate drew conclusions from their behavior about their truthfulness. The Sardar thought of a plan to make the officer behave. He demanded transfer to the district court of a case in which he was appearing before the magistrate. The Sardar presented him with a sealed letter. The magistrate opened the letter and saw his name heading the list of witnesses for the defense. He called the Sardar to his chamber for a talk. The accused was acquitted and the magistrate stopped using the mirror conceding that he had no right to do so. This incident illustrates a facet of my father's character.He had no fear of the British magistracy or administrators. The Sardar was a man of regular habits and disliked armchair politicians. He read about Gandhiji's action in Champaran and was impressed by his methods of organising peasants to resist exploitation and oppression. Mahatma Gandhi was preoccupied with the agitation in Bihar and wanted somebody who would give up everything and devote ail his time to the satyagraha campaign in Kaira district organised as a protest against excessive land revenue. My father volunteered his services, and they were accepted. Until that time the Sardar wore European dress. He was so fastidious that finding no good laundry in Ahmadabad he got his stiff collars washed in Bombay. From early youth, the Sardar developed the qualities of leadership and discipline. In later life, these qualities were to help him in organizing large groups of people for action. Until the Bardoli movement, he was hardly known outside Gujarat. He did not go out of Gujarat until Gandhi's sentence of imprisonment for six years in 1922, when he went on a fund-raising mission forthe Gujarat Vidyapith as far east as Rangoon. For years in Gujarat, whenever Gandhi addressed a public meeting the Sardar did not speak at it and later, when the Sardar spoke, other Congress leaders did not speak. This is an illustration of the discipline observed by Congressmen at the time. The leader spoke for them and the others showed their loyalty by action. When Gandhiji started the swadeshi movement and burning of foreign clothes, the Sardar burnt all his European clothes, socks and hats. He never wore any type of headgear, even a khadt cap,after he cast aside his black Banglori cap. From then, he always wore dhoti and kurta and a chaddar on his shoulder, adding only a warm jacket in winter. The satyagraha in Borsad Taluka, Kaira district, lasted a month. The provincial Government had levied a punitive tax of eight annas a large sum at that time per person on all the inhabitants for the maintenance of the preventive police. Even children were taxed. The campaign succeeded and in this satyagraha he gained the- title Suba of Borsad. Another sphere in which the Sardar helped to raise the morale of the people of the area was connected with activities of dacoits. People dared not leave their house after 6 p.m. for fear of dacoits who infested the area. They appealed to the Sardar for help. He agreed, provided they did not allow their houses to be used for keeping stolen property. In the Bardoli satyagraha, there was one organiser for every big village. The Sardar set out at noon from his headquarters and returned at midnight after visiting many villages. There was only one car, so all the other organisers journeyed on foot or by train or cart. The peasants accepted the Sardar as their unquestioned leader. Every morning, he received written reports from each village through volunteer messengers. The title Sardar of Bardoli was conferred on him by a party worker at a public meeting. It gained nationwide currency when Gandhiji started referring to him in this manner. As head of Ahmedabad Municipality, the Sardar looked far ahead of immediate civic needs and planned accordingly, unlike some of his successors who made changes looking to short-term gains. His qualities of leadership were recognized when he organised relief measures during the floods that hit Gujarat in 1927. He went round Ahmedabad city with the chief engineer and ordered a culvert to be broken to let the flood waters flow into the Sabarmati river. This saved the city from total inundation. He also persuaded the Bombay Government to provide more than a crore of rupees for relief to the flood victims. He sent help to the Collector of Kaira when the district was cut off from the rest of Gujarat Only the Collector's bungalow, which stood on a mound, was safe, and all the townfolk had gathered there for safety. The Sardar's men brought food and other necessities. The Sardar went to Calcutta for the Congress session over which Motilal Nehru presided. Even though his name had become a household word as the hero of Bardoli his physical appearance was not known. The volunteers of the Congress failed to identify him and since he did not carry a ticket he was not admitted to the pandal. The next day he carried his membership card and the volunteers were surprised when they found people shouting for the darshan of the Sardar of Bardoli and that the hero was the person the volunteers had kept out the previous, day. The Sardar was favoured by the Provincial Congress Committe as the next party president, but Motilal Nehru wrote to Gandhiji asking that Jawaharlal should succeed him. Motilal wanted to see his son Congress chief before he died. My father agreed with Bapu (Gandhiji) that Motilalji's wish be fulfilled. It was usual for the Congress President to attend annual sessions with large retinues. The Sardar went to the Karachi session in 1931 with only me and an aide, thus cutting drastically the expenses of the reception committee. The outlook of the Sardar and of Nehru was vastly different. They agreed to differ, but at the same time worked together for the common cause of India's freedom. The influence of Mridula Sarabhai and Rafi Ahmad Kidwai on Nehru was to a large extent responsible for the rift between my father and Jawaharlal. The Sardar became the party boss from the time he became head of the Parliamentary Board. He was also the parly's main fund-raiser. The Congress High Command, of which he was the mainspring, functioned as a moral prop for the Chief Ministers against the administrative machine directed by the British. I used to sleep by the telephone to take calls that came at odd hours of the night so that the Sardar's sleep was not disturbed. I took down messages and passed them on to him the next morning. One such call came at midnight from Biswanath Das, then Premier of Orissa. He had decided to resign over the choice of a provincial official to act as Governor. The Sardar backed him and the Viceroy yielded. The Sardar took many unpopular decisions in party and Government matters, but his decisions were accepted because he had no axe to grind. He was not amenable to threats or blackmail. He had no property of his own and he was above extraneous considerations. He had nothing to lose, had no ambition and no desire to cling to office. Once in Yeravda jail, Gandhiji asked in good humour what post he would like to hold after Independence. The Sardar replied he would become a sadhu. In 1945, when it had been decided to replace Azad as Congress President, the Sardar got the largest share of votes in the Working Committee. But Kripalani, one of the candidates, withdrew in favour of Nehru and handed a paper to the Sardar to withdraw his nomination as well so that Nehru could be elected unopposed. Gandhiji, to whom this matter was referred, told Nehru: "I don't want to make you a prop of mine if people don't want you." Nehru kept silent and was selected President. Gandhiji supported Nehru's choice as Prime Minister because he was well known outside India. He compared the Sardar and Nehru to two bullocks yoked to a cart. He felt that if Nehru was made Prime Minister he would be prevented from "making mischief" in the country. When the Sardar became Home Member and later on Deputy Prime Minister, anybody could call on him during his morning walk from 4.30 to 6.30. He was a fast walker and few could keep pace with him. They told him what they wanted and then they would drop out when the dialogue was over. He gave brief answers and listened mostly. For party workers and others this was an opportunity for opening their hearts to him. At the end of an hour's listening, the Sardar would probably reply in a couple of words. He arranged assistance for even the humblest party worker who needed it. He provided hospitalisation if necessary. After his illness in March 1948 his medical advisers stopped morning walks completely and restricted his interviews. In 1941, he was afflicted with severe intestinal trouble. He woke around 3,30 every morning because of pain in the bowels .He spent an hour in the toilet before setting out on his morning walk. He had a cup of tea and breakfast, which consisted of a piece of toast and apple juice. In these early morning hours,b efore going for a walk, I did my quota of spinning. After breakfast, Private Secretary V. Shankar came in with office files. The Sardar looked through the morning newspapers carefully and rarely missed any significant news. He gave oral instructions to Shankar. As before, he would write as little as possible. When in good health, he left home around 9.30 for the Home Ministry, returned for lunch and after a nap of 15 minutes went to the Information and Broadcasting Ministry. I looked after the Sardar's Gujarati correspondence while Shankar attended to that in English. I passed on some of the correspondence in Hindi to Shankar. Morarji Desai had recommended Shankar as Private Secretary, The Sardar invited him to lunch to look him over before selecting him for the post. The Partition Committee set up under the Mountbatten Plan and consisting of as many as 30 to 40 officers, would come to the Sardar's house and stay up to lunch receiving instructions from him. Its members had to report back to him in the evening. Every order he issued had to be executed within 24 hours. He rang up Premiers at night when he had a particular issue to discuss with them. He was against wasting money on telephone calls on matters that were not urgent. I kept a diary of all private trunk calls, for which Sardar paid out of his own pocket. I recall another instance of his method of work. There was a crisis in the jute industry. The Sardar phoned G. C. Desai, Commerce Secretary, and M. P. Birla, Chairman of the Indian Jute Manufacturers' Association, Calcutta, and others every night to check on developments. Similarly, at the time of the Bombay riots and disturbances elsewhere, he made phone calls at night to find out what was happening. He made calls to Punjab and Bengal and UP at the time of the partition troubles. The Sardar was not impolite or arrogant in his dealings with people. He replied promptly to correspondence. He read all the letters addressed to him personally and generally told the officer concerned how he should reply. He never signed letters or any other document blindly. When he was not fully satisfied with a draft, he would change it himself or ask the officer concerned to redraft it. He liked precision and conciseness in letters. He would say that this was "not a place for essays" or for exhibiting one's command of English. Mountbatten recognize the Sardar's greatness. I was the only other person present when the Sardar had a talk with Bapu between 4 and 5 p.m. on the day of his assassination. Bapu had decided to release the Sardar from the Ministry at the latter's instance, but Mountbatten strongly opposed this because he felt that the Sardar "had his feet on the ground while Nehru had his in the clouds." He told Gandhiji that he could not release the Sardar. Gandhiji agreed and withdrew his decision.It was agreed at the conversation on January 30 afternoon that Gandhiji, Nehru and the Sardar should sit together and iron out their differences. But this meeting was never held. The Sardar was greatly upset by the slander campaign against him at that time in certain Congress and Government circles. He was worried at heart that Gandhiji had to defend him continually against these slanders. Previously, when Nehru lived at York Road and the Sardar just across on Aurangzeb Road, they used to meet every day, even though for a few minutes. Nehru would sometimes drop in after lunch, or in the evening or at night after dinner. They walked together and discussed matters. The Sardar would walk with Nehru up to the gate of the latter's house on York Road and see him off there or they would return together to Aurangzeb Road. These daily meetings and talks cleared misunderstandings, but this dialogue became very difficult after Nehru moved to the house of the former Commander-in-Chief on Teen Murti Marg. If he had not moved there on Mountbatten's advice, much of their later differences might never have developed. Because of his illness, the Sardar was not able to go to Nehru's house frequently. When there were party matters to be attended to, the Sardar requested the AICC General Secretary to call at his house for instructions. The Working Committee met at the Sardar's residence since there was no good AICC office building at that time in Delhi. The provincial Premiers constantly sought his guidance, and he was a great help to them in their encounters with members of the bureaucracy or party dissidents. The administrations of the new states formed after integration lacked capable men to guide them. But in those areas where party members had carried out constructive work under the Sardar's direction before independence, such men were available. This was so in Kathiawar and Gujarat. Elsewhere in the country, party workers in the former states had only indulged in agitation and there was no solid foundation for their work. The Sardar did not aspire to prime ministership or any other high office. He once said that if India had won Swaraj ten years earlier he would have solved the food problem as he had solved that of the states. He added: "But I have not the -strength to do so now." He considered food the country's most important problem after consolidation. He was essentially a man of action, averse to writing. His philosophy of life may besummed up in the words: "Why not create history rather than waste time writing it?" Reference :- Sardar Patel's Correspondence vol. 1.